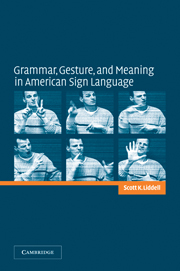 The discovery of the importance of sign language in the deaf community is very recent indeed. 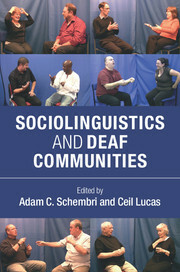 This book provides a study of the communication and culture of deaf people, and particularly of the deaf community in Britain. 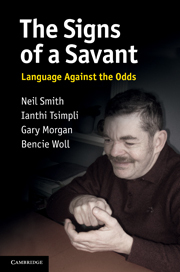 The authors' principal aim is to inform educators, psychologists, linguists and professionals working with deaf people about the rich language the deaf have developed for themselves - a language of movement and space, of the hands and of the eyes, of abstract communication as well as iconic story telling. 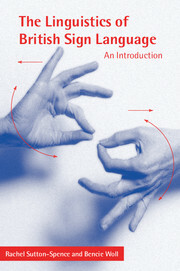 The first chapters of the book discuss the history of sign language use, its social aspects and the issues surrounding the language acquisition of deaf children (BSL) follows, and the authors also consider how the signs come into existence, change over time and alter their meanings, and how BSL compares and contrasts with spoken languages and other signed languages. 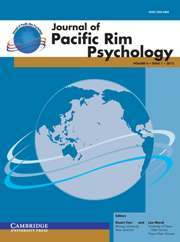 Subsequent chapters examine sign language learning from a psychological perspective and other cognitive issues. 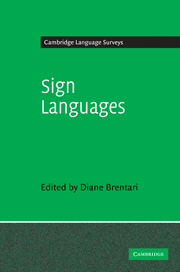 The book concludes with a consideration of the applications of sign language research, particularly in the contentious field of education. 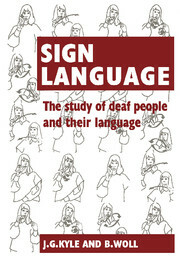 There is still much to be discovered about sign language and the deaf community, but the authors have succeeded in providing an extensive framework on which other researchers can build, from which professionals can develop a coherent practice for their work with deaf people, and from which hearing parents of deaf children can draw the confidence to understand their children's world. Index of names in the text.